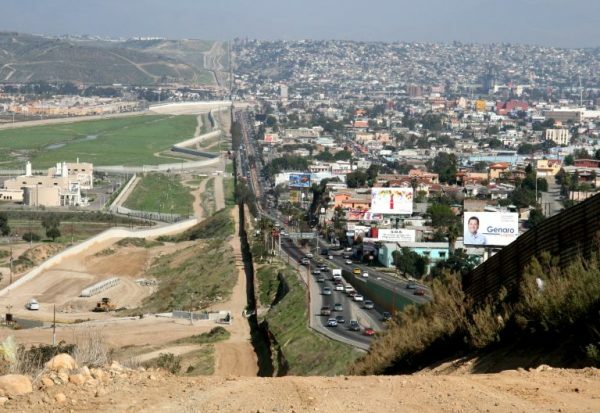 A small fence separates densely populated Tijuana, Mexico, right, from the United States in the Border Patrols San Diego Sector. Wiki Commons photo. Caught in a legal crossfire between red and blue state attorney generals over DACA, President Donald Trump on Thursday said he’s “fairly close” to striking a deal to preserve the Obama administration program that protects young illegal immigrants from deportation and allows them to work and study. Trump’s deal with congressional Democrats apparently includes tougher border security with his long-promised border wall to come at a later date. It also seems to lean heavily on the passage of the bipartisan DREAM Act — backed by both Colorado senators. Republican Colorado Attorney General Cynthia Coffman last week said the DACA debate belongs in Congress, not in a courtroom, but now Democratic Colorado Gov. John Hickenlooper has contradicted that position by announcing the state will join others suing to keep the program in place. Hickenlooper on Wednesday announced Colorado will join a multi-state lawsuit led by New York, Washington and Massachusetts aimed at blocking the Trump administration’s plan to end the Deferred Action for Childhood Arrivals (DACA) program. The program, implemented by executive order by President Barack Obama in 2012, protects nearly 800,000 immigrants from deportation, including more than 17,000 in Colorado. DACA recipients brought to the United States as young children are granted work permits after graduating from high school, staying out trouble with the law and registering with the federal government. “President Trump’s decision to end the DACA program is outrageous and risks the futures of more than 17,000 Coloradans,” Hickenlooper said in a prepared statement. “Colorado benefits when DREAMers have the opportunity to thrive in our communities and the only country they’ve ever known. These young people should not have to suffer because of our broken immigration system. Colorado is the 16th state plus Washington D.C. that’s suing to stop the DACA repeal. Coffman, whose estranged husband Mike is now desperately trying to save the program in Congress after years of opposing it, indicated last week that her office would not join other states seeking to protect the DACA program. Coffman did not join 10 other Republican attorney generals who threatened to sue the Trump administration by Sept. 5 if it did not repeal DACA. Hickenlooper and AG Coffman have in the past done battle over whether to join federal lawsuits, including Republican challenges to the EPA’s Clean Power Plan. Lost in the DACA debate, which Trump clearly wants to trade for much more draconian border security, is the acute need for immigrant labor in a number of industrial sectors in the United States — from agriculture and construction to tourism and tech. While the Trump administration presses to cut legal immigration, some in Congress are focused on legislation that would boost work visa programs to improve labor conditions and fill unmet workforce needs. David O. Williams is an award-winning freelance reporter based in the Vail Valley of Colorado, writing on health care, immigration, politics, the environment, energy, public lands, outdoor recreation and sports. His work has appeared in 5280 Magazine, American Way Magazine (American Airlines), the Anchorage Daily News (Alaska), Aspen Daily News, the Aspen Times, Beaver Creek Magazine, the Chicago Tribune, the Colorado Independent, Colorado Politics formerly the Colorado Statesman), Colorado Public News, the Colorado Springs Gazette, the Colorado Independent (formerly Colorado Confidential), the Colorado Springs Independent, the Colorado Statesman (now Colorado Politics), the Daily Trail (Vail), the Denver Daily News, the Denver Post, the Durango Herald, the Eagle Valley Enterprise, the Eastside Journal (Bellevue, Washington), ESPN.com, the Glenwood Springs Post-Independent, the Greeley Tribune, the Huffington Post, the King County Journal (Seattle, Washington), KUNC.org (northern Colorado), LA Weekly, the London Daily Mirror, the Montgomery Journal (Maryland), The New York Times, the Parent’s Handbook, Peaks Magazine (now Epic Life), People Magazine, Powder Magazine, the Pueblo Chieftain, PT Magazine, Rocky Mountain Golf Magazine, the Rocky Mountain News, Atlantic Media's RouteFifty.com (formerly Government Executive State and Local), SKI Magazine, Ski Area Management, SKIING Magazine, the Summit Daily News, United Hemispheres (United Airlines), Vail/Beaver Creek Magazine, Vail en Español, Vail Valley Magazine, the Vail Daily, the Vail Trail and Westword (Denver). 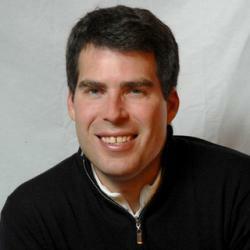 Williams is also the founder, publisher and editor of RealVail.com and RockyMountainPost.com.